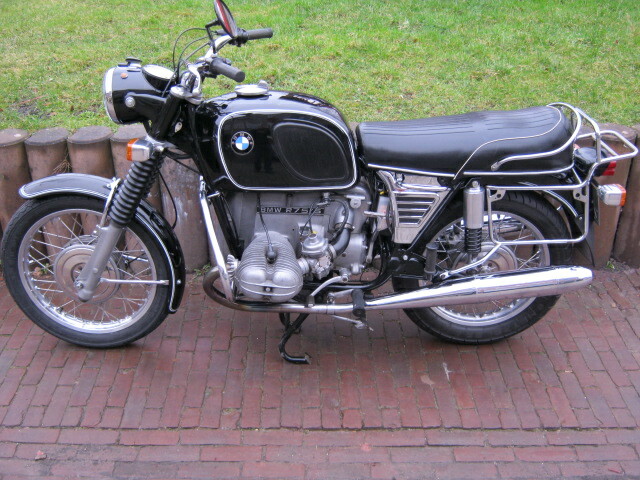 The 70's touringbike; BWM R75/5 in very good original condition. Runs and rides very well. Offcourse matching nrs. and with Dutch registration. Complete with original tyrepump, lugagerack and original model exhausts.